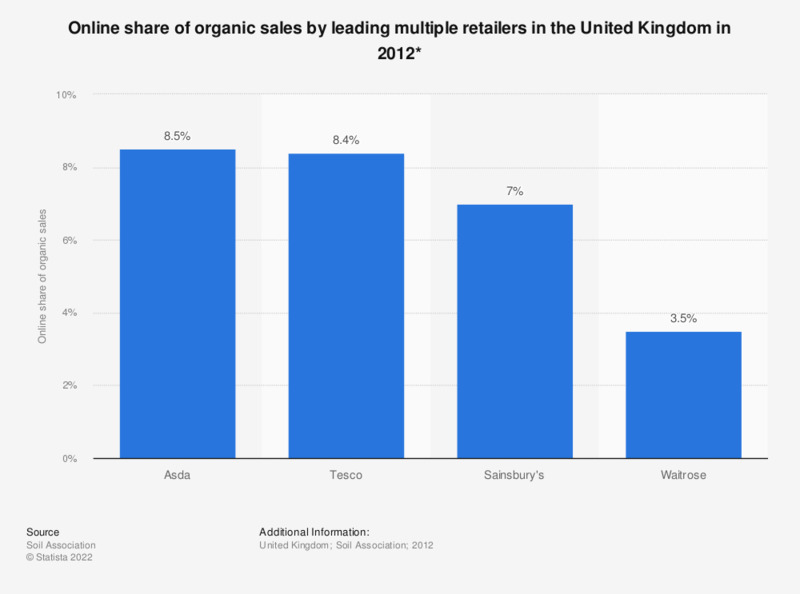 This statistic shows the online share of organic sales by leading grocery multiples in the United Kingdom in 2012. Of Tesco's organic sales, 8.4 percent were made online. This was a similar case for Asda, with 8.4 percent of their organic sales made online. * Ocado were omitted from the statistic as they are an online retailer, therefore their online organic sales share is 100 percent.